"I have most of the Lightning Strikes series and Black Baron was one of my favorites. That and Freaky." The story of a great escape by the king of the cockroach racing world and the desperate race against time to save him from extermination! Black Baron, Jake’s champion racing cockroach, hasn’t lost a race and Jake is on top of the world. But then his “clean freak” mum decides to clean up his bedroom and discovers Black Baron in a shoebox under Jake’s bed. Mum is aghast – how could Jake keep such a filthy pest? 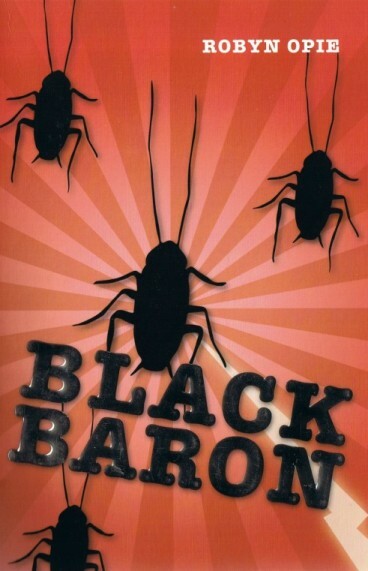 Black Baron escapes from his shoebox home, but Jake's mum is not deterred; she calls the pest exterminator and an hilarious slapstick tale ensues. CLICK HERE for your free download of chapter one of Black Baron.